In this April 24, 2012 file photo, a herd of bison roam on the Fort Peck Reservation near Poplar, Mont. 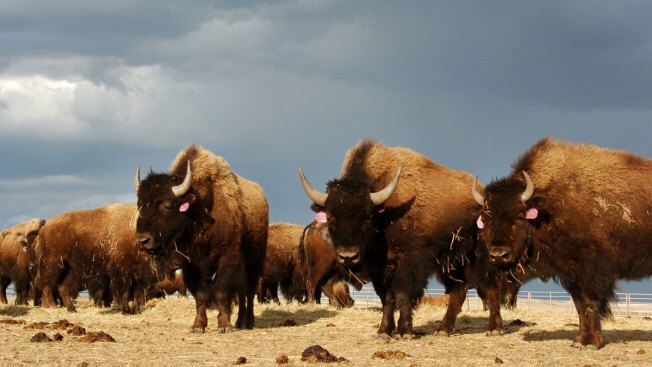 President Barack Obama has signed into law a resolution that makes the bison the national mammal of the United States. The bison has become the official national mammal of the United States under legislation signed into law by President Barack Obama on Monday. Millions of bison once roamed the Great Plains. About 500,000 now live in the U.S. but most of those have been cross-bred with cattle, and are semi-domesticated. About 30,000 wild bison roam the country, with the largest population in Yellowstone National Park.